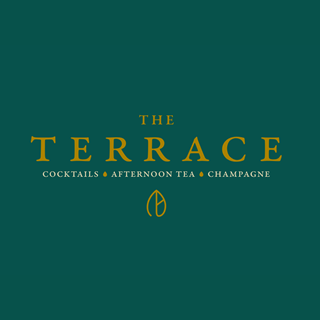 Over looking the historic Botanic Gardens in Glasgow's West End, The Terrace is the latest bar and lounge at the Hilton Glasgow Grosvenor. 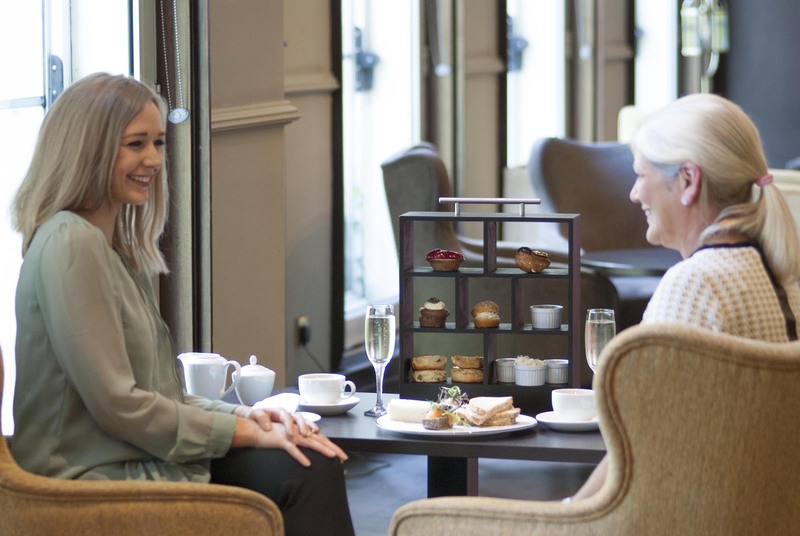 Offering a light, relaxed and peaceful atmosphere, The Terrace is a prime spot for catching up over a fine wine, innovative cocktail, or one of our decadent afternoon teas. Make yourself comfortable with one of our cafe style tables, sofas, or communal reclaimed wooden high table. Service was superb. Staff very attentive and polite.Surroundings a little tired and lacking in atmosphere. Food was ok : sandwiches poorly presented and quite unimaginative eg grated cheese on ciabatta bread plain ham etc. Scones not warm but tasted good. Plenty of jam and cream. Tea was topped up and we ordered two coffees and were not charged for them so that was good. Selection of cakes was varied and tasted good. Just expected a little more luxury in surroundings and presentation of food. I think that so many hotels do afternoon tea these days that the standard is high and unfortunately this wasn’t one of the better ones. My friend and I did enjoy our afternoon though. A little disappointing to pay £5 for parking mind you. We arrived and had to wait 45 minutes to get our sandwiches and tea then another half hour wait for cakes which came and weren’t great. Half of a tiny cheesecake between 2 I think is shocking. There was one member of staff on and he was rushed off his feet trying to serve everyone, we weren’t the only ones complaining. We then spoke to a few managers to give them feedback on what we thought. Very poor service and wouldn’t come back. Our afternoon tea could not be described as decadent. It was decidedly ordinary. Placing bland food on a white plate without garnish,would a cherry tomato have been out of the question ? It showed no flair. Scones didn't look great, tasted lovely.Mind you the teeny wee jar of jam didn't go very far. The other cakes, of which there were far too many, ranged from,light beige to brown. No STRAWBERRY,A MINT LEAF, RASPBERRY,KIWI for a wee bit of colour. While we were in the tea room, everyone else took home a doggy bag. I would much rather have enjoyed the Decadent Afternoon Tea we were promised. I would also get lots of lovely bulbs planted under the trees out front, more interesting to look at,than baldy patches of grass. Would have been nice if scones were served warm like the Turnberry Hotel The waitress was very friendly and welcoming. Sister had requested no mayonnaise and this was well catered for. Not the best presented tea. Sandwiches a bit random and presented on a dinner plate; however fresh and plenty of them. Cakes were fine. Some better than others. The gin cocktails were ok. It has to be said that the service was great. The 3 waitresses on duty literally never stopped. In particular, a lovely Irish girl, perhaps called mairead, who had the loveliest of manners and ensured all guests were catered for. An absolute credit to your team. Staff and the setting were excellent. Sandwiches and cakes were average. Drinks and coffee were very good. Overall was nice but I had asked for vegetarian options in advance and was only given a small selection of vegi options compared to meat. Cakes and cocktails lovely and staff very nice though. Lovely afternoon tea, lovely friendly staff. Would come back. Range of food provided for gluten free was limited in comparison to the alternative. Service was  poor given all our plates and cutlery were not removed at all during the service and were still on the table when we left. The offer obviously generated numerous bookings however the service should not have suffered because of this. On the positive the cocktail drink was lovely and the venue was nice. Overall however disappointing. The service was brilliant. The food was superb! We had an great afternoon tea, would definitely come back. A beautiful afternoon tea. The rasberry cocktail was delicious! Very polite and courteous staff. Highly recommend. Our birthday afternoon tea and cocktails for four was great value for money. The little sandwiches, scones and cakes were lovely. We very much enjoyed the gin based cocktails and even ordered more. The hotel was full of other tea parties and we didn’t feel hurried to leave. Everyone we spoke to was polite and helpful but sadly the service was extremely slow and inefficient even although it was not busy. We were given everything we asked for: milk, teaspoons, more jam, extra cocktails. However we had to ask every time and then wait a long time for these items to arrive. We may have ordered a third cocktail had our second not taken nearly 40 mins to come! Some attention to detail before the service matches the venue and food offerings. 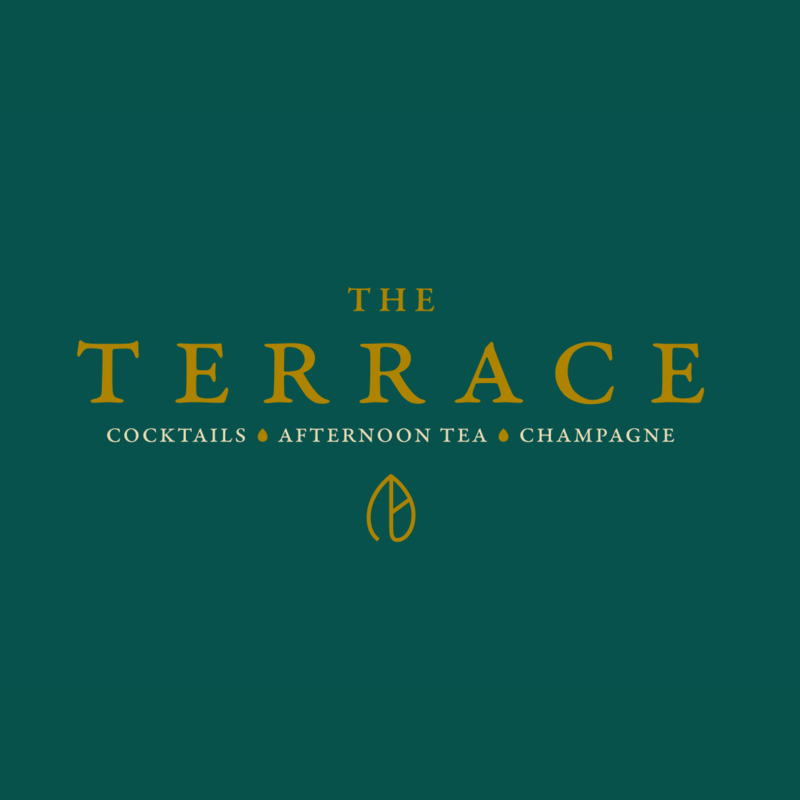 Lovely relaxed afternoon tea at The Terrace. Food was delicious, staff very pleasant and attentive. Enjoyed it immensely and look forward to coming back. The only downside is the cakes are far too delicious and you can't help eating them all! Had a fabulous time here with my Mum yesterday for her Christmas treat. The food & drink were amazing and the afternoon tea was divine plus the staff were so friendly. Amazing place! Excellent day out, will certainly be back in the future. Staff were absolutely wonderful and very attentive. Nothing was any bother for them and would definitely recommend The Terrace to friends. Surroundings very comfortable, modern and clean. Comfortable dining, friendly accommodating staff and lovely calm atmosphere. Highly recommend and will come again.